Interested in playing college volleyball? If so, it’s a good idea to start planning now. In fact, college coaches we consulted for this story made it clear that high school and club players who are serious about stepping up to the next level should begin their preparation as early as their freshman year in high school. If you’re systematic and well-organized, this process can be a great learning experience and will help you find a school that’s a good fit – both for volleyball and academics. Quick tip: Don’t get discouraged if your dream school isn’t showing interest. First and foremost, you’re playing volleyball to have fun. If you love the game and keep working hard, you’ll give yourself a chance to play at the next level. Remember, when a school says no, it’s not just about you and it certainly doesn’t mean you’re not a good volleyball player. Maybe the school is already well stocked at your position. Or maybe they need someone who jumps a little higher. Whatever the reason, just keep playing and working hard and having fun. Chances are, you’ll arrive at a destination that’s right for you. To help you prepare for the journey toward a possible collegiate volleyball career, Art of Coaching has put together a comprehensive checklist of things you’ll need to know and stuff you’ll need to do. Below is your freshman year checklist. You can also check out the sophomore, junior and senior checklists. Get out and watch some local college matches. Seeing the level of play that you’re aspiring to will give you an idea of where you’re at as a player and where you need to be by your senior year. Make sure you’re on a competitive club team. If you’re serious about college volleyball, it’s important for you to have knowledgeable coaches and be part of a team that practices at least twice a week and plays quality competition – preferably in some national tournaments. This not only helps you improve, it allows you to get seen by college coaches. Make a recruiting video. But don’t pay a bunch of money for someone to make it for you. Using video from your phone and editing in iMovie or a similar program works just fine. 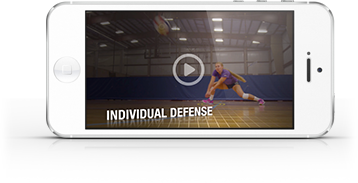 Here’s an article from Art of Coaching Volleyball on how to make your own recruiting video. Email college coaches who you might want to play for. (Most coaches have their email/contact info on their school’s website.) It’s never too early to start building a relationship. Plan to attend a summer volleyball camp at a couple of the schools you’re interested in. This is an opportunity to play alongside other players who have similar goals and evaluate your own game. Don’t worry about going to camp at a school that might be beyond your athletic reach. As a freshman, it’s OK to set high goals for yourself. Keep your grades up. No mystery to this one. The better you do in school, the more options you’ll have, especially with regard to merit-based aid that many universities offer. Begin making a list of schools and/or conferences that are on your radar. Don’t count anyone out. Make yourself aware of NCAA core course requirements. Be sure your high school counselor is up to speed on what type of classes you need. Become involved in fitness and strength development programs. It doesn't need to be extensive. A good start is lots of sit-ups and push-ups. Participate in volleyball lessons with a good instructor. Sometimes you don’t get enough skill acquisition from just playing on your club team. Sophomores should consider taking lessons, too. Designate one coach to coordinate all recruit correspondence. Too often you have a high school coach, club coach, club director, club recruiting director all receiving correspondence. This increases the possibility of things not getting back to you. Now that you have an idea of some of the things you should be doing during your freshman year that can help you get recruited, check out the sophomore year checklist and start planning ahead for next year! You can also check out the junior checklist and senior checklists. Best of luck! What gets your email noticed by a college coach?